After Midnight: Indian Modernism to Contemporary India: 1947/1997 curated by Dr. Arshiya Lokhandwala at the Queens Museum, New York, is an ambitious attempt to represent two important moments in Indian art history since independence in 1947. The show combines work by members of the Progressive Artist’s Group, conceived by F.N. Souza in 1947, and contemporary art from the late 90’s onwards that is influenced by India’s momentous globalization. By focusing on these two periods and referring to them as avant-garde in the trajectory of Indian modernism, the exhibition probes the notion of nation state as a “system of cultural signification,” propounded by the critical theorist Homi Bhabha in his introduction to Nation and Narration, and endeavors to give equal credence to both time frames. Spearheaded by Francis N. Souza, the Progressives found a language that broke with the Bengal School’s nationalistic idiom of the early 20th century and explored abstraction amongst many other Western constructs. In the exhibition, works made by M.F. Husain, Tyeb Mehta, Krishen Khanna, and Akbar Padamsee showcase a new route of representation that is inspired by their travels to the West. Free flowing experimental forms such as Husain’s Untitled (Meditation), 1975, that combined photography, performance, and drawing on a woman’s naked body in Switzerland, and Khanna’s black and white “photo construction,” in which projection and drawing come together on canvas paved the way for a truly avant-garde path. Similarly, Akbar Padamsee’s 6-minute video Syzygy 1969 – 70 is a marvelous combination of grid like formations and pastel colors that move with compelling synergy. Here a new “cultural signification,” amply rewarded by abstract conceptions such as Mehta’s landscapes that combined Eastern and Western traditions, established its stride and timeless appeal. But the notion of “cultural space,” as Bhabha sees it becomes more problematic with contemporary art. For many artists, art functions as a medium of social activism for the disenfranchised. In this regard, CAMPS’ methodology of presenting unfiltered material from the ground up in their video of workers on a port in Kerala brings the viewer closer to their subjects, as does Desire Machine Collective’s more obscure, but often poetic video Noise Life 1, 2014, of sounds and unrelated visuals in the marginalized states of north east India. 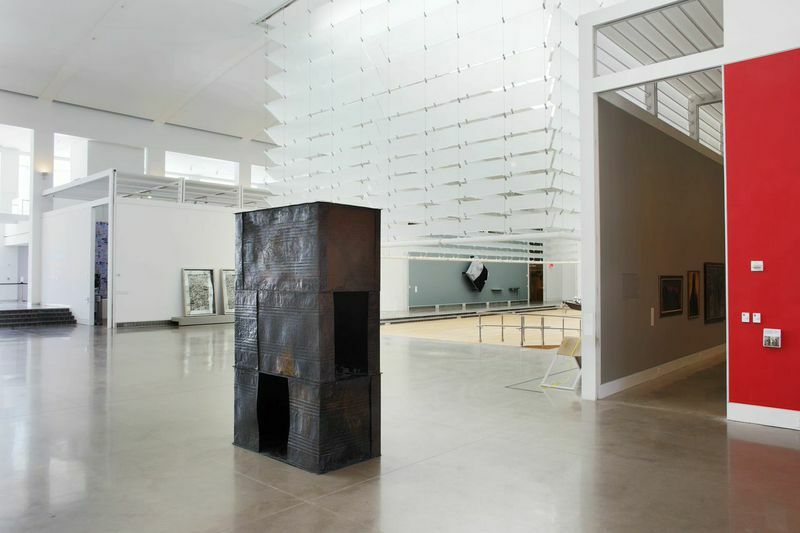 Yet Sheela Gowda’s installation of a small cramped drum house made from flattened tar drums used by workers to tar roads in India seems to rely on evoking pathos. 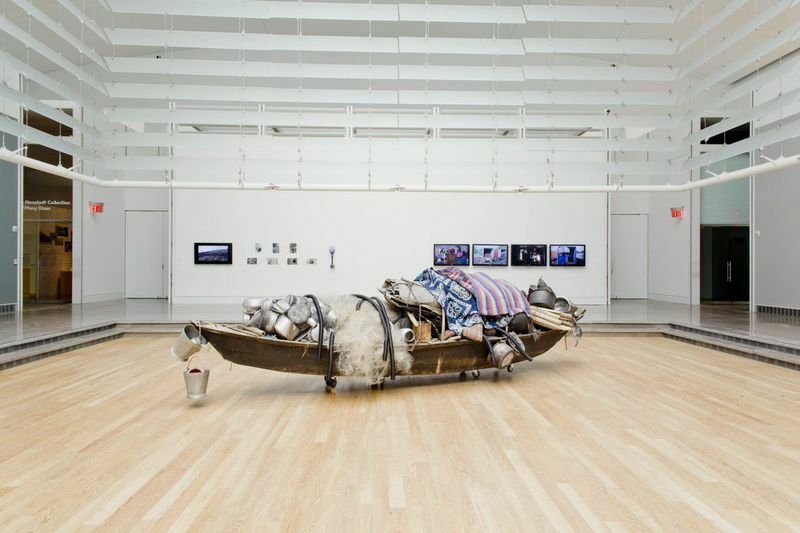 Gowda’s work like Subodh Gupta’s large eye-catching boat filled with used dented vessels to symbolize the life of immigrant workers treads precariously between raising awareness and “spectacularization.” In these works, the impetus to represent the masses gets obscured by the commoditization of their meager lives. The idea of “cultural space,” activism, and awareness is more compelling in works by Dayanita Singh and Shilpa Gupta. 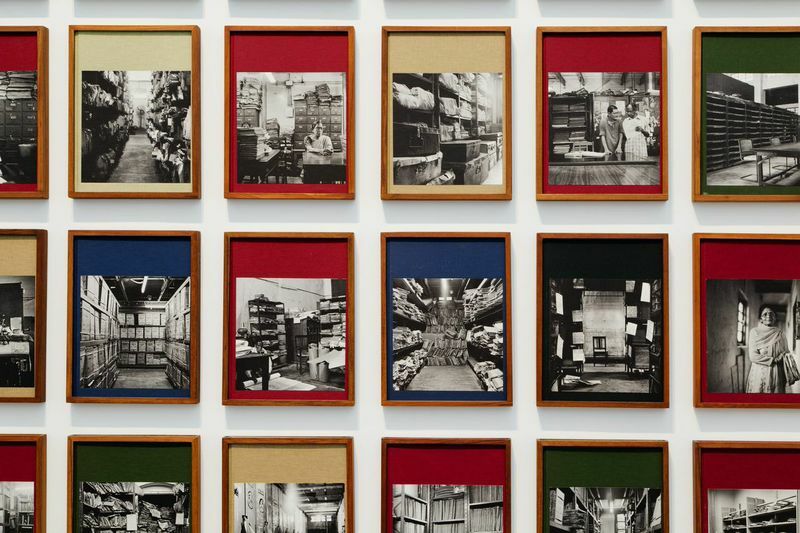 Singh’s stirring black and white photographs titled Fileroom, 2012, of shelves of old, dusty, hand-written bureaucratic papers, and its incumbents, reflect a time warp and deep sympathy for the people entangled in the web of pushing papers. 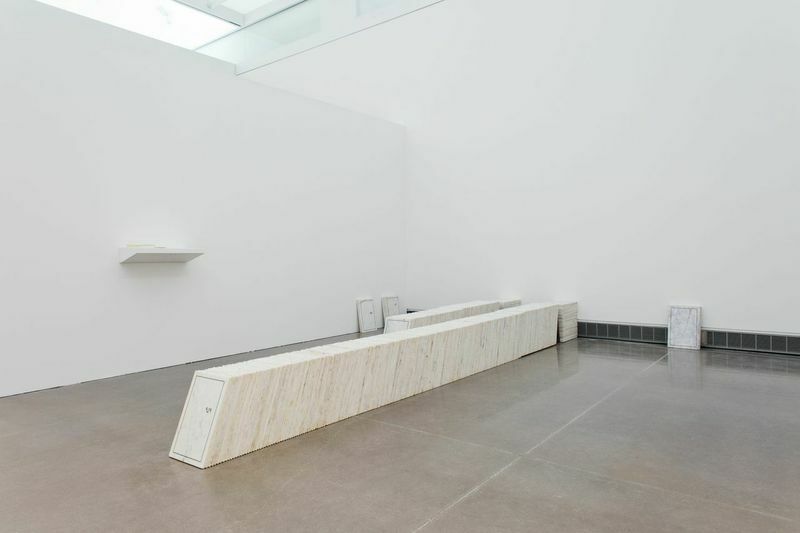 Similarly, Gupta’s rows of 1,278 etched marble plaques for unnamed bodies caught in the border dispute in Kashmir gives dignity to a swath of humanity that remains unacknowledged. Dayanita Singh, Fileroom, 2012. 70 book objects, 14 x 10 1/2 x 1 1/2 in. each.